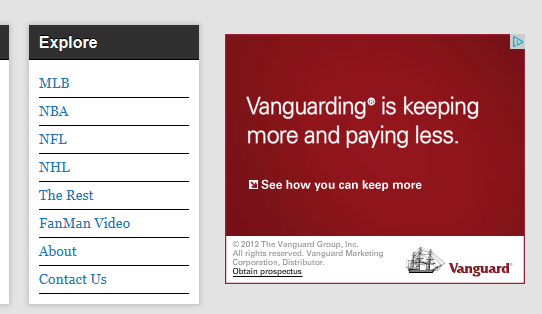 If you go to my site: thefanmanifesto.com you can see that the white area behind the ad is being eclipsed. How do I either get rid of this white area or expand it to fit the width of the ad?
) characters. It’s usually located above the Tab key on your keyboard. I have fixed this for you. Put code in between backtick (`) characters. It’s usually located above the Tab key on your keyboard. I have fixed this for you. ^ It’s usually located above the Tab key .. This didn’t work for me. Is there somewhere specific in the stylesheet it needs to go? Or is there a way to edit the java code above to make it easier? Is there somewhere specific in the stylesheet it needs to go? Make sure it’s in a child theme stylesheet, or in Custom CSS feature. Add it at the end. Or is there a way to edit the java code above to make it easier? Got it! The problem was actually the backticks…for whatever reason, they stopped the code from working. Have you installed Firebug? It lets you isolate those CSS classes and id’s easily and you can make modifications on the fly.